Some neighbors oppose a planned conversion of the St. Mary of the Angels regional house at 201 Reist St. to senior housing. Tzetzo Cos. has requested tax breaks for the $13.1 million project. The developer who wants to convert an Amherst residence for nuns into senior housing is seeking nearly $1.4 million in tax breaks. Tzetzo Cos. would buy the St. Mary of the Angels regional house at 201 Reist St. and allow 62 nuns living there now to stay after interior work to boost the number of units from 73 to 99. 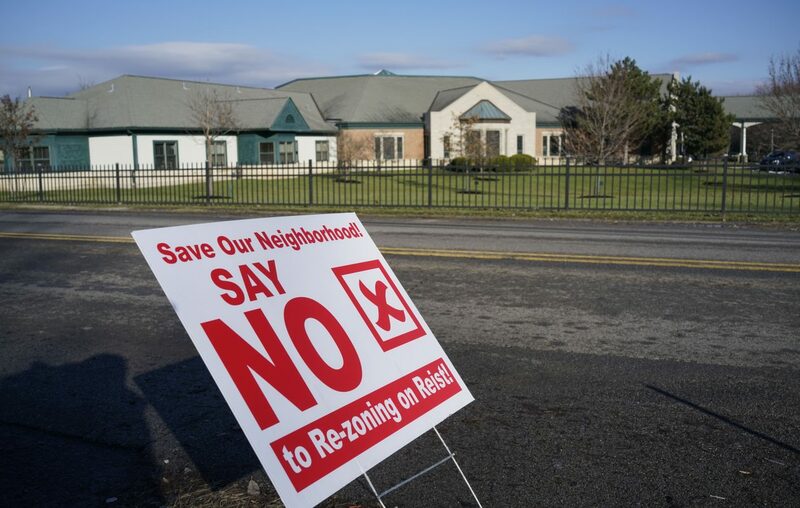 The Town Board hasn’t acted on a required rezoning as Tzetzo seeks to win over neighbors who fear denser development. The Amherst Industrial Development Agency will hold a public hearing at 8:30 a.m. Friday, February,1st,2019 on the $13.1 million project that seeks property, sales and mortgage-recording tax breaks. The currently tax-exempt property would generate $420,000 in new property taxes just in the seven years before it fully returns to the tax rolls, the IDA reported. There are projects which come before our Amherst IDA to which they should simply say NO. This company doesn’t need these tax breaks. The Amherst IDA makes the money they need to run the biggest part of Amherst IDA by staff, by saying ‘yes’ to developers. The people on this Board are selected by the Town Board. It’s a pity we can’t put people on the Amherst IDA Board who have open and independent minds, not people who have open pockets for the Amherst IDA. The meeting will be this Friday, February 1st, 2019. Here is the official public notice for Feb 1, 2019 meeting. The buyer … Tzetzo Companies .. still needs a rezoning to MFR-7 by the Town Board (or a USE variance by the ZBA if the rezoning fails) to make the “project viable”. The vote on the rezoning is Feb 4, 2019. Fredonia Place at Williamsville (on behalf of an entity to be formed)- The applicant is requesting an authorization resolution for a project having a total cost of up to $13,116,123. The project is for the renovation and equipping of a 107,441 +/- square foot, 99-unit, senior assisted living facility located at 201 Reist Street, Amherst, New York. The project is located within the Williamsville Central School District. Financial Assistance to be provided includes a sales tax exemption for project costs up to approximately $6.2 million, a mortgage tax exemption for a mortgage amount up to $10 million, and real property tax abatement in accordance with the Agency’s standard Uniform Tax Exemption policy. The application is available for inspection at the Agency’s offices. Written comments may be addressed to David S. Mingoia, Executive Director; Town of Amherst Industrial Development Agency; 4287 Main Street; Amherst, New York 14226; (716) 688-9000.